Car Buyers’ #1 Bestseller is now available in Walmart! My Amazon #1 Bestseller for car buyers is now in Walmart. "How To Beat The Car Dealer Every Time It's So Simple It's Ridiculous"
This Book, ebook and App is like having your very own private negotiator in the palm of your hand. ➡️ Get real answers in minutes, not hours! ➡️ Tells you word-for-word exactly what to ask for. ➡️ Control any salesperson with one simple sentence. ➡️ Get the real invoice pricing so you'll never get taken for a ride again! Women Car Buyers Take Action! Deal Or No Deal? "How To Beat The Car Dealer Every Time"
You’d have to be AUDI your mind if you aren’t bowled over by the new 2019 Audi Q8 - the ultimate sport luxury in one tight and powerful package. Get AUDI the trap of car dealerships and into the top tier service and professionalism of carleasingconcierge.com! 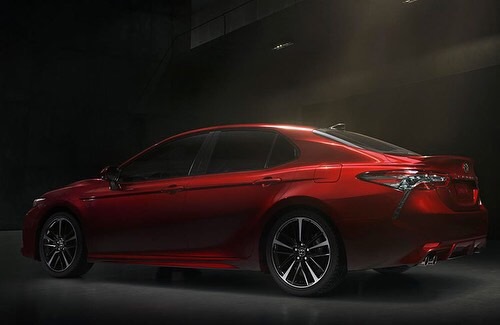 The 2019 Toyota Camry is sure to turn heads. 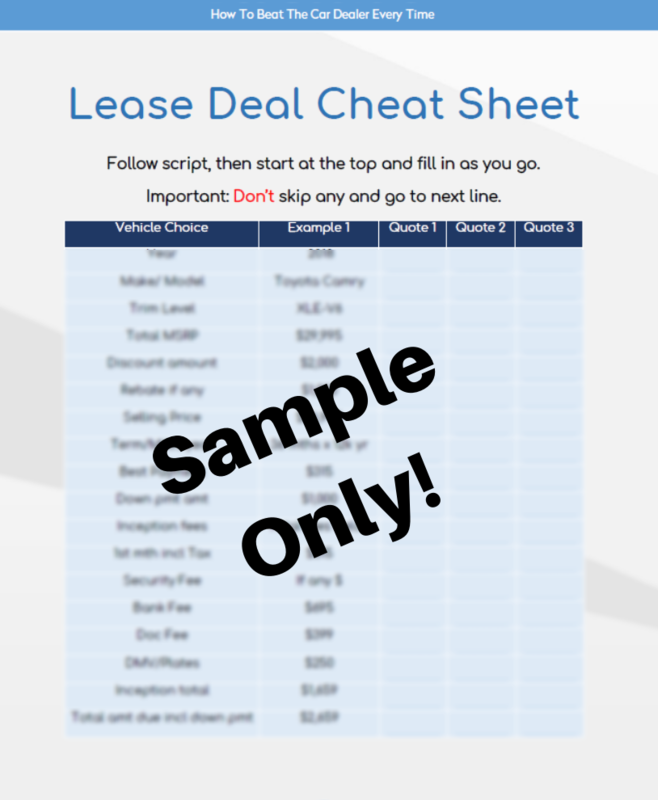 Make sure you’re getting the best deal possible BEFORE you sign. Here at Car Leasing Concierge we pride ourselves on being a second opinion that you can count on to expose dealer fees and add-ons! Visit our Car Price Check Page today or call us at 800-886-1950 to schedule your free 10 minute consultation. Your wallet will thank you! New Car Buyer's Podcast! “Never Get Taken For A Ride Again!" All New Car Buyer’s Podcast! will show new car buyers how not to get taken for a ride by car dealerships when in the market to buy or lease their next new vehicle. Each week new car buyers will be able to share the encounters they’ve had and learn how to avoid the potholes and dead-end streets salespeople will try to steer you down. You’ll get hands-on professional advice that will empower you to take control from the test drive to parking the salesperson at his desk and getting all the necessary information you'll need to accelerate the process. The Car Buyer’s Advocate podcast “Never Get Taken For A Ride Again” show time and days will be posted on Car Leasing Concierge Facebook page. click link below. Black Friday Car Sales Event! Save Up To 70% off! Thanksgiving Holiday Sale Up To 70% 0ff! Do you want to find out how much you’re really paying for your new vehicle? Our Car Price Check Reports are penny accurate at exposing and eliminating any hidden fees, inflated rates and add-on’s car dealers and Tele-car-marketer try not to disclose. Our service is just like going to your accountant and getting your taxes done - you spend a little to save a lot. Use your “cents”! 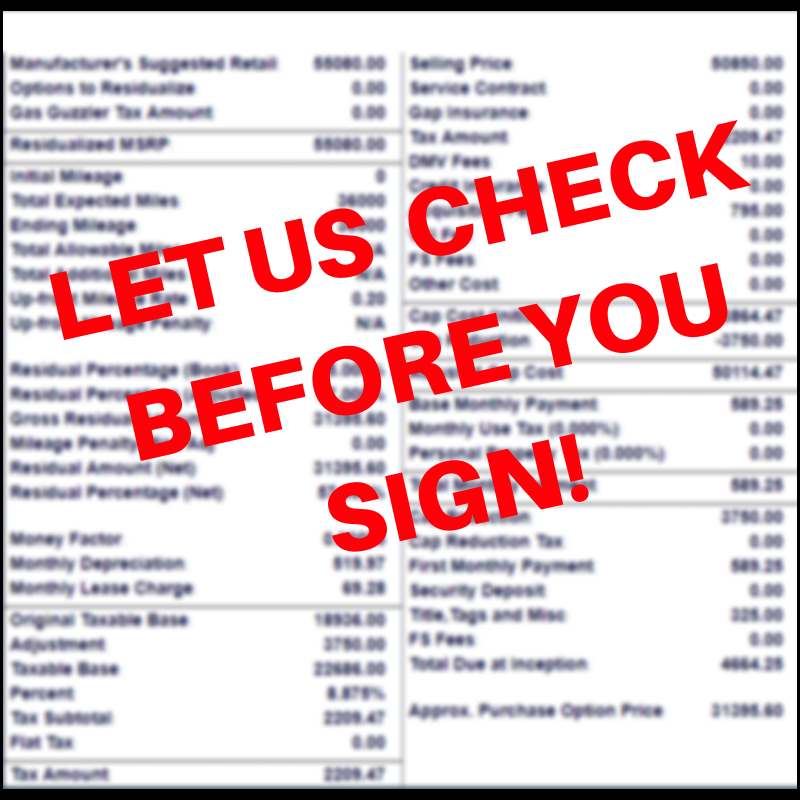 Check with us before you sign, because small change can save you big bucks! Get your FREE copy of my AMAZON #1 Bestselling new car buyer’s guide book. "How To Beat The Car Dealer Every Time! It's So Simple It's Ridiculous"
It comes complete with easy to follow cheat sheets you can use right on your phone. "The Car Buyer's Advocate Podcast" presents "Never Get Taken For A Ride Again!" Get your real car buying questions answered that nobody else is willing to give you. Join me Paul Maloney a 25-year professional car buying expert that's now "The Car Buyer's Advocate!" and Author of Amazon's #1 Bestselling car buyer's guidebook. Car Leasing Concierge to speak at the City-Summit Mastermind Event in NYC! Paul Maloney owner of Car Leasing Concierge will be one of the speakers at the City Summit's mastermind Event in New York City Thursday August 30th! Join us as we network and learn from multiple - 7 figure earners, investors, CEO's and inspirational heroes that will help you grow your network and accelerate your business!